Here at Atlantic East we pride ourselves on orchestrating smooth sailing vacations. Our agents are very experienced and fully understand the challenges of Nantucket rentals. 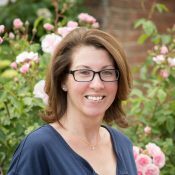 If you are interested in listing your Nantucket home for rent with us please contact Erikka Perkins, our Rental Manager. She will ensure that you receive a timely response and can help guide you through the process of listing your home for rent.